Explore Manitoba’s rich electrical history from the 1880’s to the present day. Located in a 1931 active substation, the Manitoba Electrical Museum & Education Centre houses a large collection of electrical artifacts, archival photographs, and interactive educational displays to tell the story of hydroelectric development in Manitoba. 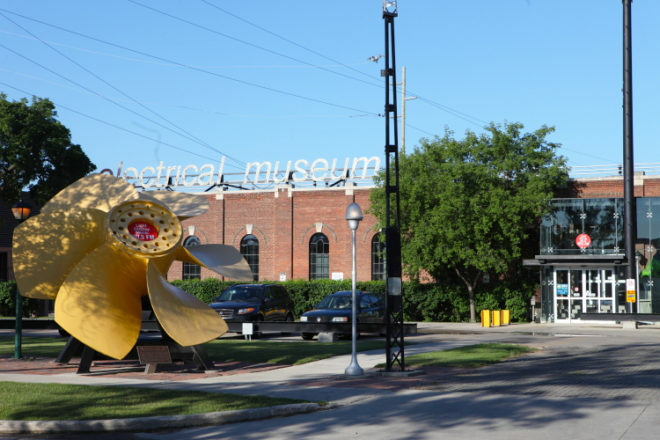 Interactive exhibits include a replica streetcar from 1909, a towering robot made of over 50 household appliances and the hair-raising experience of a Van Der Graaff demonstration. Guided tours will run throughout the day, lasting 30 minutes.